Interests: Running (anything from 100 metres to a marathon), Cycling, MTB, Boxing, Football, ElliptiGO. I commute to work on my ElliptiGO regularly. Sporting Background: I used to box as a junior. 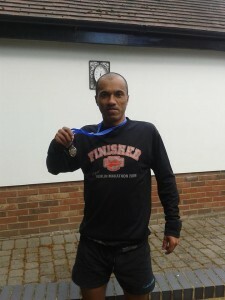 I ran my first marathon in 2004 – which was my first ever race that I ran. Since then I have run many more marathons, half marathons and other road races. 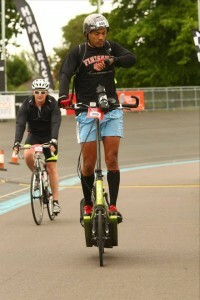 I’ve also competed in various Cycling and MTB events – as well as doing long-distance cycling events on my ElliptiGO bike. Why I’m doing PBP 2015: For the challenge. I did my first Audax (Long-Distance Cycling Association) ElliptiGO ride in September 2014, which was just shy of 400-miles. PBP is an historical event which is twice the distance. Something most people don’t know about me: As well as riding an ElliptiGO and running, I’m also into mountain biking. My highlight is competing in the Birkebeiner, which is the world’s largest mountain bike race (held in Norway). Other: My PBP 2015 training programme.